One of the things that a builder should consider is the way in which he/she wants to mount the transformer. 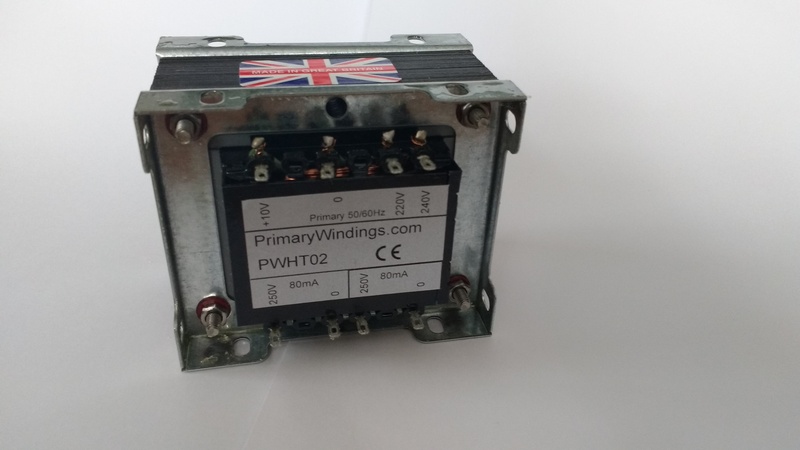 The terminology can be confusing, and inevitably ends in me sending a picture of a typical transformer mount to clarify the situation. So I thought it would be good to have a reference post with typical examples. This is the cheapest option and is very simple. A U shaped steel clamp is wrapped around the core, and a punch or press is used to secure it to the frame. There are 2 screw holes either side for securing to the chassis. 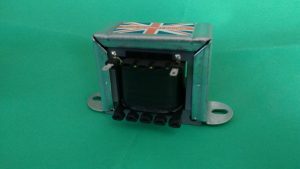 Of course, with this type of mounting, the terminals are on show, and it would be wise to mount this type under a chassis if possible to prevent fingers touching any high voltages. We can provide terminal shields if required, that go over the terminal and prevent contact with them. It is probably the cheapest option. 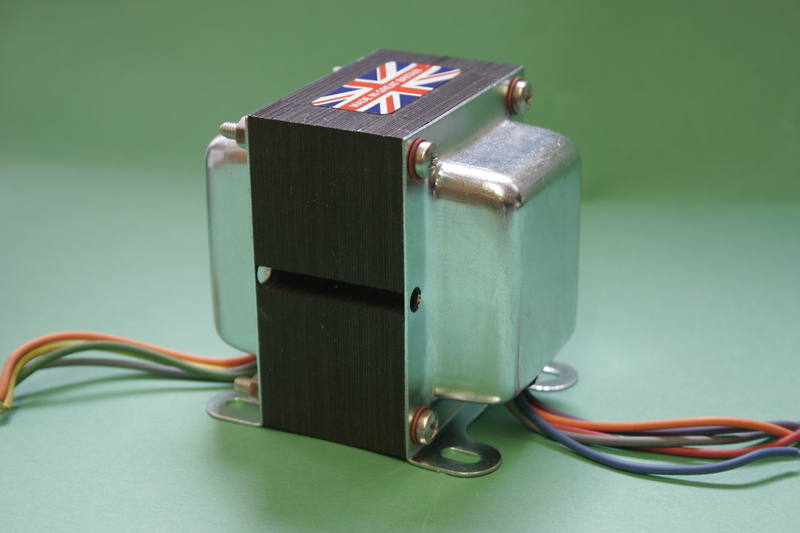 But will not be available for all transformers, as it is only suitable for small – medium sizes. 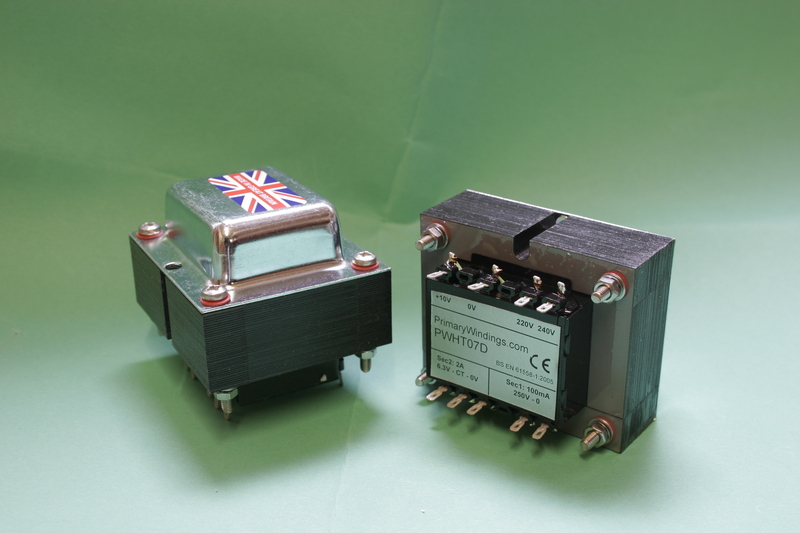 Here is an example of a typical frame type transformer. It consists of two formes metal frames, one either side of the core. It is secured to the core using four bolts that are insulated form the frames to prevent induced losses. The frame will have multiple holes around the edge to allow fixing to the chassis. 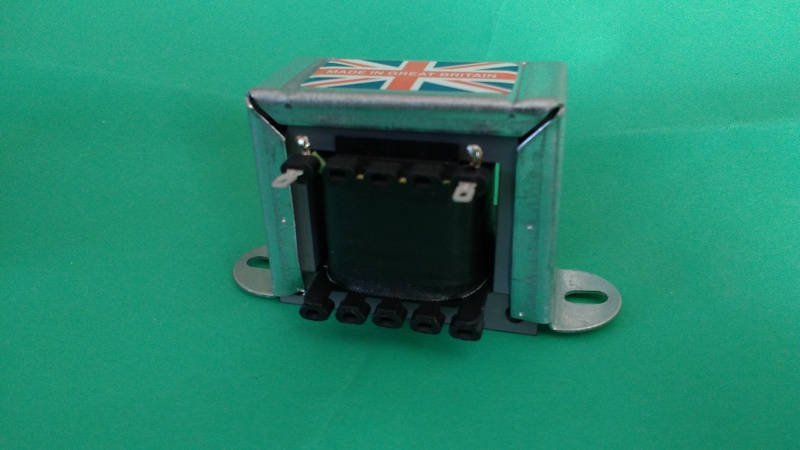 Here we see an example of the popular so called drop through mounting, so called because the transformer terminals/wires go through the chassis, and appear underneath. A square/oblong hole is required in the chassis, and then 4 mounting holes, through which the mounting bolts supplied pass. The good thing is that the connections are beneath the chassis, and away from prying fingers. Also they look great with the chrome plating. The last variety of mounting is the shrouds with feet. Here both ends are enclosed by a metal end shells. these shells have feet with holes for mounting to the chassis. Connections are via flying leads, which emerge either side of the core, through holes at the bottom of the shells. The exit points for the wires is protected using grommets. Matching holes with grommets will need to be made in the chassis, so the wires can go straight under the chassis, and away from harm. An excellent looking mount, and simple to use. Is usually chrome plated to set it off. 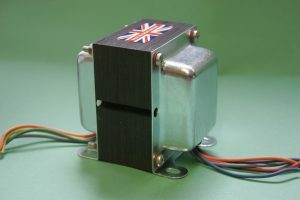 I hope this post has helped in showing typical examples of the mounts available for our transformers.